Its getting closer to the end of the year for the college soccer season and as much as I planned earlier this year to discuss college soccer my lack of time got in the way. So I’m playing catch up now. The college soccer season just passed the mid-way point and boy there are some standout teams right now. Akron continues to dominate, Louisville has wrapped up the Big East title, Bulter is surprising folks around the country, and the ACC is still loaded. I feel its a good time to take a dive back into who could be coming out for next year’s SuperDraft. The talent in college soccer continues to grow each year folks for various reasons. 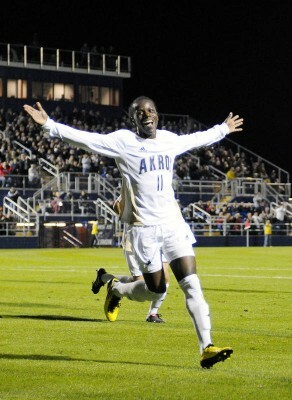 As I previewed back before the season, Akron is a team full of MLS-bound players. Kofi Sarkodie, Anthony Ampaipitakwong and Darlington Nagbe are all guys we’ll see playing on the next level soon enough. 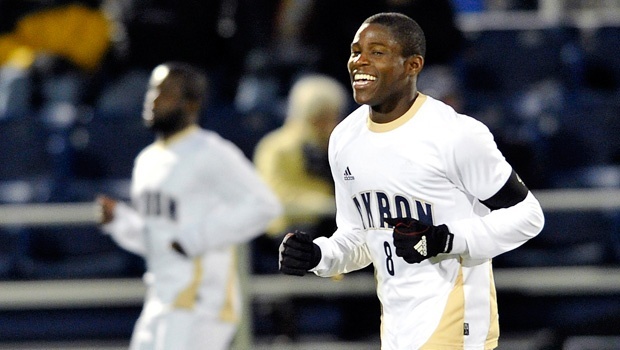 Darren Mattocks (Akron) – The freshman has been lights out for the Zips this season. His 11 goals top the team and are nearly the best in the nation. He’s done well with Nagbe and has shown that Caleb Porter has an amazing eye for top talent yet again. Akron fans quickly forgot about Teal Bunbury when he got going. Question is would he be ready after only one college season or should he stick around another year? Either way I’d imagine a Generation adidas contract is waiting for him when he is ready. Ryan Kinne (Monmouth) – Looking for a senior scorer? Look no further than to Kinne who has already had a nice senior season with 10 goals and three assists with four of the goals being game winners. While I don’t expect Kinne to be a first rounder right away, I do think with a good MLS Combine and a few more big goals on the year we could see him as a quality late round pickup for a club looking for some offensive depth. Colin Rolfe (Louisville) – We’ve talked about him in the past and once again he makes our list. He’s helped guide the Cards to an unbeaten record thus far this season. The junior leads the team in assists and should be a big factor for their NCAA tournament run. Carlos Alvarez (UCONN) – Another big assist man in the Big East. Alvarez has 12 assists on the year with four goals. He’s helped get the Huskies up to the top five in the national polls. After watching a couple of their games this season the sophomore could be perfect for a Generation adidas contract down the road. He’s a guy with plenty of soccer IQ and just knows where to place the ball for his teammates. Josh Ford (UCONN) – Ford may not be a big name keeper yet on the national stage but his number certainly indicate he could be soon enough. Matt Kassel (Maryland) – The former (?) Red Bull product continues to shine for the Terps. He’s one of the top assist men in the country with eight on the year. You have to think this is the year he comes out and goes pro. 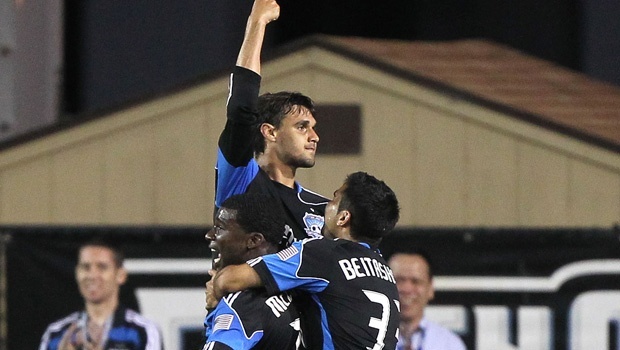 Arthur Ivo (SMU) – You have to love what SMU has been doing this season, largely thanks to Ivo. They are fifth in the national polls with one loss on the year (at Central Florida). The junior midfielder has done a solid job this season with seven goals and four assists to help get SMU in contention for a top seed in the NCAA tournament. Ben Sippola (Butler) – No one really knows just how good the unbeaten Bulldogs really are this year but Sippola is a big reason why this team is climbing the polls each week. His seven goals and seven assists lead Butler in both stats. He’s able to play pretty much all over the pitch, which could come in handy on the next level for some coaches. With a win last night at Indiana last night people may have to start figuring this Butler side and Sippola out before it’s too late. Do any defenders make your list? I have some on my list for another post. I may have them posted either this week or the next. Any generation adidas talks yet?